I was in for some adventure this past weekend with my co-nurses. Our destination: Baler, Aurora; the country’s surfing capital. I am never sporty but I always have this thirst for trying new things so when opportunities like these arrive, I am not one to stay home. We left Manila Doctors Hospital scratching away the sleepiness from night duty at 6:30 AM. One reliable source told us that the Genesis Joy bus bound for Baler will leave at 7:30 AM. When we reach the Genesis Bus Terminal in New York, Cubao, our dear vehicle was already gone! Apparently, the source wasn’t as reliable because the departure was 7 AM. We then took a bus bound for Cabanatuan and transferred to a AUV that brought us to Baler town proper, the average duration of our road trip was about eight (8) long hours. I wouldn’t go on much detail but let me just say that we do not have a reserved accommodation So we trailed the lodgings fronting Sabang Beach and found one transient house that charged us PHP 1,300 per night in a room that can accommodate our whole group. Sweet! 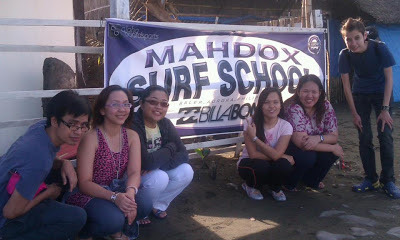 One hour of surfing lessons with trainer and board rental is PHP 350. And man, it was the best experience! I really enjoyed this experience and thought of pursuing it as a hobby. A hobby, not a sport, are we clear? Rolling stores (small restaurants) are found all over Baler’s town proper, for only PHP 35 per viand. It is also a must to try Gerry Shan’s Place, also in Baler town, it offers sumptuous eat and drink all-you-can buffet for PHP 185. Truly a great stop after surfing. Private AUVs are found everywhere in Baler, almost everyone in town knows someone who provides tour vehicles or they themselves own one. 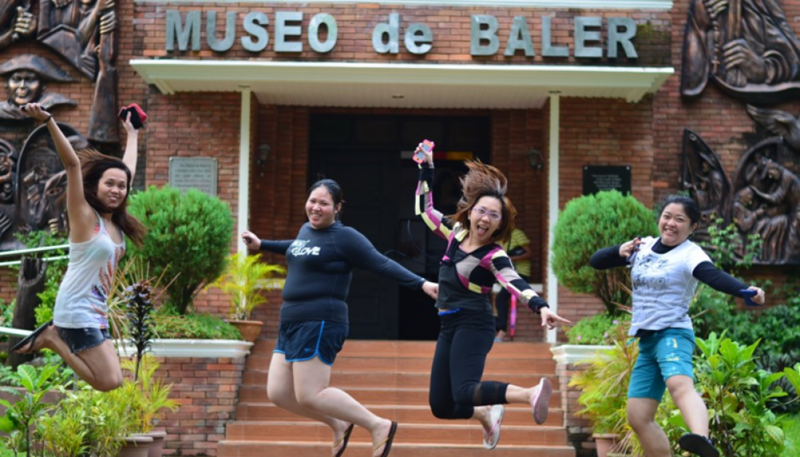 For PHP 2,000 – 2,500; your entire group can go around and experience this virgin place for a day of touring. I recommend going around in AUVs rather than tricycle because it is faster and more comfortable. 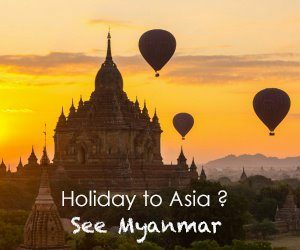 Just make sure that your driver is also knowledgeable of the places, ours was just mainly a driver: I had to Google all the places we went to because he did not supply much information. My personal favorites were Ermita Hill, Museo de Baler, and Caunayan Falls with its ice-cold and deadly water current. The Genesis Joy Bus is the only bus line with direct trips from Manila to Baler. It has no stop-overs, has a on-board restroom, and a stewardess. You will reach Baler in as fast as six hours for PHP 700. It has only two trips per day though, and it comes with a reservation. If you miss your trip, you can still reach Baler the way we did, Victory Liner bus from Manila to Cabanatuan and then a private AUV from Cabanatuan to Baler. It cost us around PHP 500 but the travel time was long and very tiring. Going back to Manila was a little easier, there is still the option of Joy Bus and another Genesis bus without the stewardess but with lots of stop-overs: PHP 450. I had so much fun in Baler, this has got to be by far my favorite local destination. When I got home, I found out that there are still a lot of places I missed, so I’m definitely going back.